Regarding comings and goings in the Environmental Dynamics Lab, two important updates – which come with my apologies, because there’s “late-breaking news” and there’s news that’s just late. 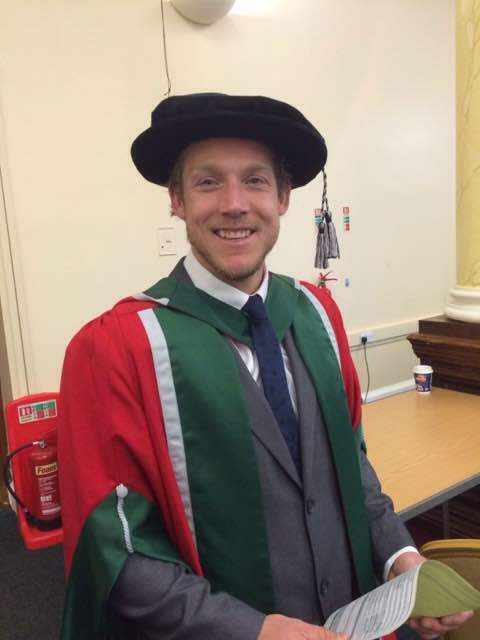 Congratulations to Dr Paul Evans ’15. First, huge congratulations to Paul Evans – now Dr Paul Evans – for graduating with his doctorate in July’s ceremonies. Paul & I started working together in 2012, not long after I arrived in Cardiff. Perhaps his capacities as a multi-sport athlete helped him endure many, many months of editorial comments and annoying marginalia from me. 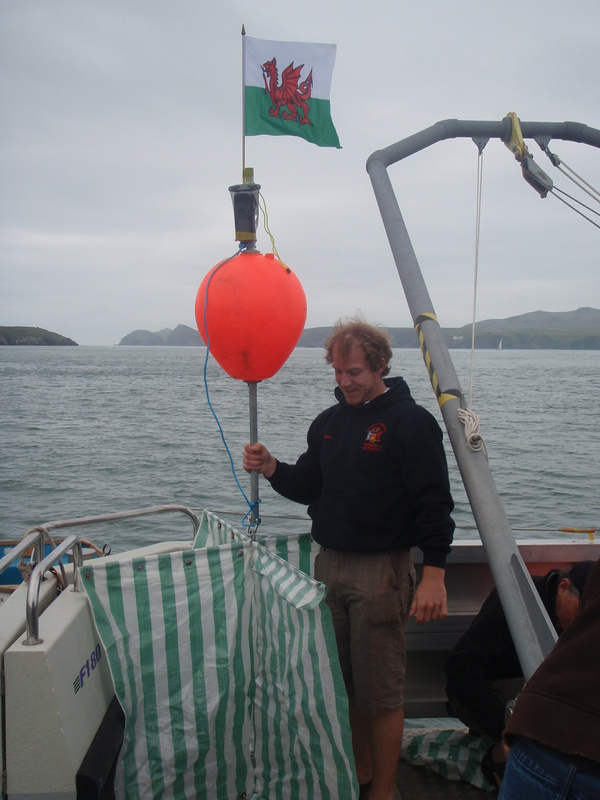 Paul aboard Cardiff’s R/V Guiding Light. His PhD thesis, Hydrodynamic characteristics of macrotidal straits and implications for tidal-stream turbine deployment, was ultimately a win. He has one peer-reviewed paper already out, and another in the review pipeline. Over the past few months, he’s been postdoc-ing in the School of Engineering here at the U, but he’s soon off for a position at Intertek, an industry-facing energy/water consultancy based here in Cardiff. 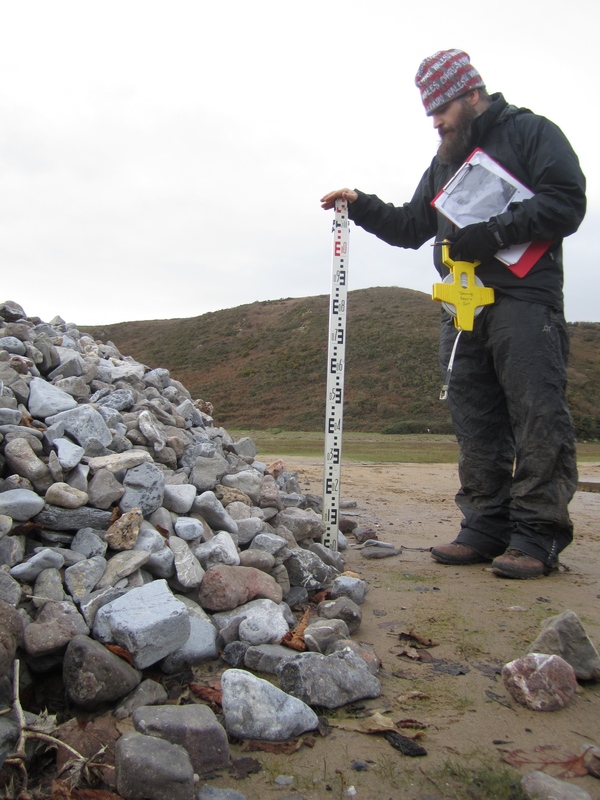 Scott at the steep front of a washover lobe at Three Cliffs Bay. Second, a huge welcome to Scott Armstrong, who joined the lab as a PhD student back in October. (Like I said – sometimes there’s news that’s just late.) Scott worked with me on his MESci thesis project coastal overwash dynamics, which we turned into a paper for Geology earlier this year. 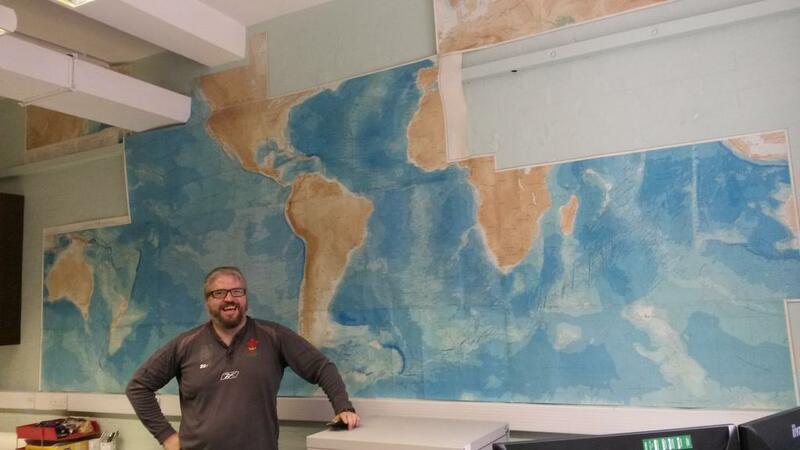 Scott (et alia) give the new lab space a facelift. For now, he’s turned his attention from morphodynamic experiments to human–coastal systems and the dynamics of developed coastlines. He’s already generating great stuff, and has a manuscript in motion – exciting things to come. With a little help from his colleagues, he also redecorated the new lab clubhouse (new to us, anyway) while I was on vacation.